Do you have an old doll that needs a pair of stockings? 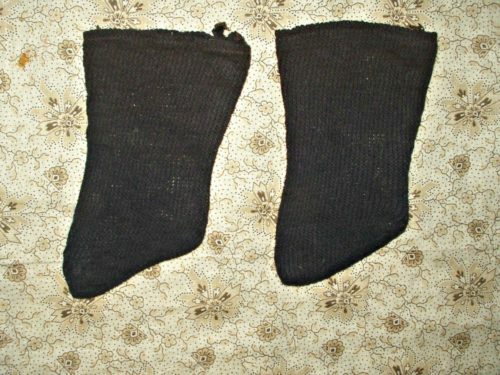 The Gatherings is offering a pair of late Victorian dark navy blue knit stockings suitable especially for a cloth doll. Suitable for a country primitive look.